Many years ago, when I was about 9 years old, my family took a cruise to the Bahamas. Growing up in Florida, my brother, Dustin, and I were like fish…great swimmers, always in the water, and we would approach the ocean fearlessly. With boogie boards and huge smiles, Dustin and I raced into the warm, clear blue waters. What we didn’t realize was that the waves and patterns of the ocean were different in Nassau than what we were used to in Florida. Within moments, the current had pulled us much further out into the deep blue sea than we had intended. Enormous waves were flying over my head, crashing down, and pummeling me deeper and deeper. I didn’t have enough time to come up to scream for help or look for my brother (thank God for all those years of having contests in the pool to see who could hold their breath the longest). I found it ironic that just as I had been baptized in such still waters earlier that summer in a swimming pool at camp, now raging waters could be the death of me. It may sound crazy, but at 9 years old, in that moment, I truly felt an overwhelming truth that it was a possibility that I may not make it out. That I may never be found. It seemed impossible. That brief moment seemed like an eternity, and the last thing I remembered was feeling excruciating pain in my chest, wishing I could just get one breath, and being pushed down by a strong wave until I hit my head on a rock below. Suddenly, I felt something, someone, grab my hand. It was my mom. Miraculously, she was able to find me and pull me out of the water. After throwing up sand, and finding sand in my hair and ears after days and many showers, it’s safe to say I was done with the beach for that particular trip. As I sit here writing this in Miami, the ocean and I are on great terms. I am not afraid of the waves, because I know that I am not alone. There have been many times in my life since then that I have audibly asked Jesus to help me (and have sounded crazy, I’m sure). 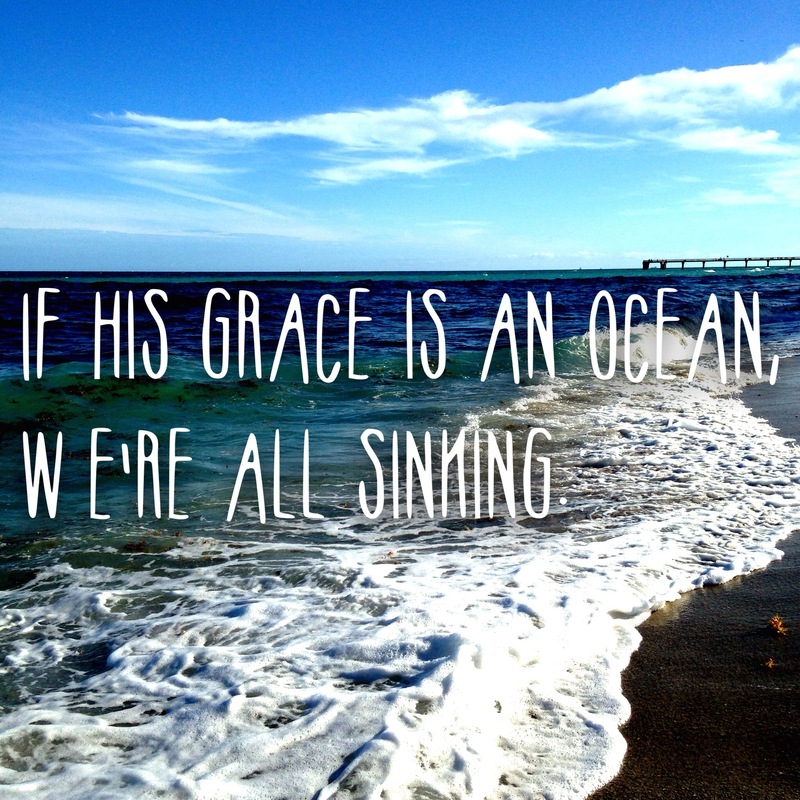 Sometimes life feels impossible…it all seems like too much…but I can promise that when it feels like you are drowning in pain, you are most certainly drowning in his grace and love. Know that no matter where you are today, what you are facing, or what you may have to overcome, there is safety. There is peace. Take refuge in the words of Jesus below, as they are just for you. “You are surrounded by a sea of problems, but you are face-to-face with me, your peace. As long as you focus on me, you are safe. If you gaze too long at the myriad problems around you, you will sink under the weight of your burdens. When you start to sink, simply call out, “Help me, Jesus!” and I will lift you up. Previous postGod gives us more than we can handle. Next postThe Reality of Chronic Illness book giveaway! Thanks Rachel, this is beautiful writing and a beautiful testimony.